The problem is, Window’s built-in USB formatting capabilities (right-click on your flash drive, select format), are a little to basic and do not always pick up on the full capacity of a hard drive that has been reformatted several times. Thus, you need to do a full USB drive wipe, and get the drive cleaned up, and partitioned as one whole, so that Windows recognizes the full capacity. From there, you can re-partition it, if you so choose. To do this, head on over to Easeus and download their free Partition Master software. There was a program called BootIt that used to be owned by Lexar, however, it was bought out by Easeus and now is part of their Partition Master app. 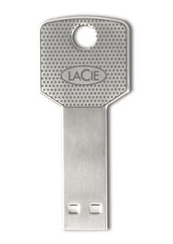 Now, this is not guaranteed to work on all flash drives, but chances are high that it will work. For example, I tested this on a cheap Patriot Memory USB drive and it worked like a charm. Once downloaded, go ahead and install the program. Simply click the icon and it should launch. Make sure that you have anything backed up, as this utility will completely destroy everything on the drive, and restore full capacity. After you get a listing of the current drives and partitions, go ahead and connect your USB drive. The program will say that the disk information has changed and will ask if you want to refresh the screen. Click Yes and wait for the new disk to show up. This way you will easily be able to tell which disk is your USB drive. The USB drive above is Disk 1, which is using the GPT standard. It also doesn’t have any name, that’s why it shows up with just a semicolon. Before we format the disk, it’s a good idea to check the health of the drive once. 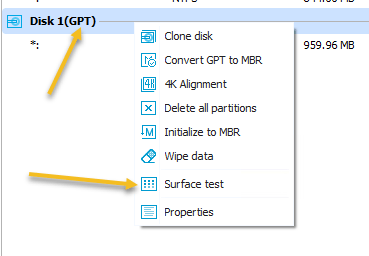 To do that, right-click on the Disk line and choose Surface Test. This will check the entire disk to make sure it is healthy. Sometimes you can have problems with the PC seeing the correct capacity if there is some physically wrong with the drive. If all the boxes end up green, you are good to go. Now right-click again on the Disk and choose Delete all partitions. Make sure you click on the Apply button at the top left in order to execute the operation. Now right-click on the line below the Disk line and choose Create Partition. The Create New Partition dialog will appear. 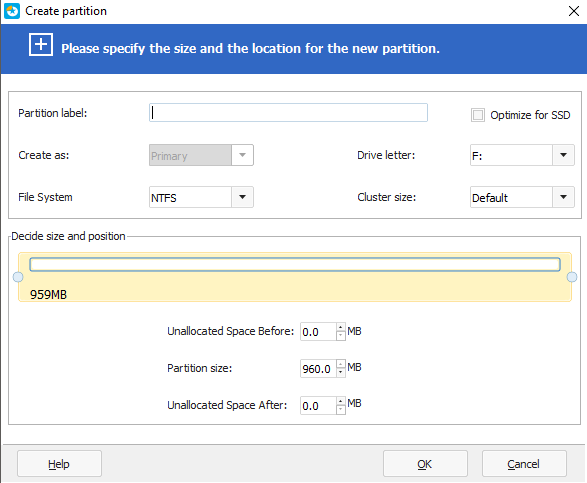 Give the partition a label, choose a file system, choose a drive letter and make sure the partition size is what you desire. By default, it will use the entire capacity of the drive for the new partition. Click OK and the disk info should be updated. 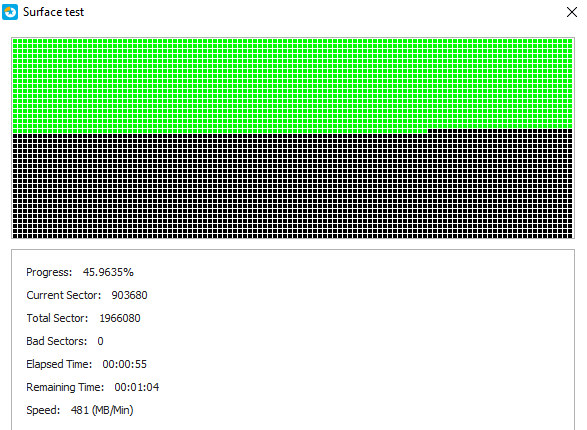 Your drive should be showing the full capacity at this point. If not, you can try to delete all partitions again, but this time try to convert the disk to MBR or GPT. After converting, try to create a new partition and see if it shows the full capacity of the drive. If it’s still not working, try right-clicking on the Disk and choosing Wipe Data. Hopefully, using this tool, you can get the drive back into a proper format so that all of the capacity is being recognized. Enjoy!